More and more homeowners are making conscious choices to reduce their environmental footprint when building or remodeling a home. Carefully selecting products that are as local as possible is one way to do just that. Indianapolis hardwood store Kermans is proud to carry some of America's best known hardwood manufacturers. These hardwood flooring options are made by companies that care about the quality of their product and the quality of the environment. Appalachian Hardwood Manufacturers, Inc. AHMI has verified data from the U.S. Forest Service that timber harvesting from the Appalachian Hardwood Territory as defined by AHMI is able to meet present needs without compromising those of future generations sustainably. Forest Stewardship Council Chain of Custody Certification. FSC (Forest Stewardship Council) provides third-party certification confirming that materials used are harvested from well-managed forests. 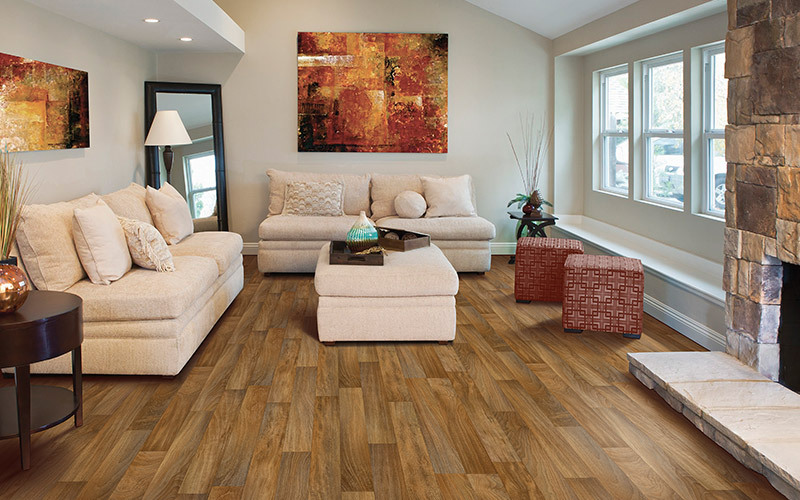 Shop for CARB Phase 2 compliant hardwood flooring for formaldehyde, with no urea-formaldehyde. And ask for sealers and topcoats that are zero emissions. Ask if the hardwood flooring company is a zero-waste manufacturer - meaning all wood fiber from the manufacturing process is utilized, right down to the last bit of sawdust. Kermans offers hardwood flooring from American companies that are all making great efforts to manage our hardwood supply chain, responsibly care for our forests, and create jobs for fellow Americans. If you want to look at American-made hardwood flooring stop by Kermans and ask to see samples from Somerset, Homer Wood and Anderson Hardwood.